Today I am thrilled to have my bloggy friend, Tammy of Missionary Trek, with us. Please help me welcome her! First, I want to say thank you to Jenifer for the invite to guest post from time to time. What an honor! Jenifer and I met via blogging and have become friends quickly. Social media has become such a wonderful connecter of like minded people. As a missionary I am forever thankful for all the bells and whistles. Skype, email, Facebook, twitter and blogging are all gifts from God! Can I get an amen? 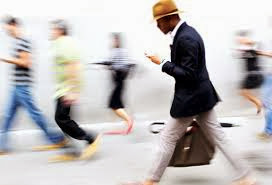 However, if we are not careful we can become lost in our gadgets and miss the moment in front of us. Both my husband and I have faced death over the last year. I had a run in with cancer and he just dodged a heart attack. These moments cause us to pause and rethink our life choices. How do I want to spend my life? What does God want from me? What will my friends and family remember when they think of me? I’d hate to think that all my memories of life were nothing more than text messages and tweets. To live life to its fullest in every moment is a gift that should be cherished. Enjoy social media but in the process don’t miss the moment! Tammy Ogden and her husband, John, have been married for thirty-one years and have two grown children and one grandson. Tammy is a RN, missionary, wife, mom, grandmother and author of the book, ‘The Princess, The Gardener and The Visitor’ a Christian fairy tale for the whole family. Tammy’s husband is director of media at King’s Castle Ministry in El Salvador where they both serve as full time missionaries. 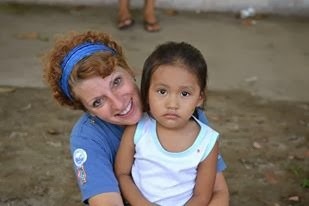 Tammy loves sharing life’s adventures through her blog www.missionarytrek.com. Post by Jenifer Metzger - Sweet Blessings. A beautiful reminder to live intentionally. Many blessing on your ministry in El Salvador. Tammy gives a sweet reminder. Thank you for stopping by Glenda. God bless. A great reminder to live intentionally, and in the moment - thank you and many blessings on you and your family. Thanks for stopping by Anita!